1. PASD1 promotes STAT3 activity and tumor growth by inhibiting TC45-mediated dephosphorylation of STAT3 in the nucleus. Author: Xu ZS, Zhang HX, Zhang YL, Liu TT, Ran Y, Chen LT, Wang YY, Shu HB. Journal: J Mol Cell Biol. 2016 Jun;8(3):221-31. doi: 10.1093/jmcb/mjw005. Epub 2016 Feb 17. 2. Interleukin-38 is released from apoptotic cells to limit inflammatory macrophage responses. Author: Mora J, Schlemmer A, Wittig I, Richter F, Putyrski M, Frank AC, Han Y, Jung M, Ernst A, Weigert A, Brüne B. 3. Genetically humanized pigs exclusively expressing human insulin are generated through custom endonuclease-mediated seamless engineering. Author: Yang Y, Wang K, Wu H, Jin Q, Ruan D, Ouyang Z, Zhao B, Liu Z, Zhao Y, Zhang Q, Fan N, Liu Q, Guo S, Bu L, Fan Y, Sun X, Li X, Lai L.
Journal: J Mol Cell Biol. 2016 Apr;8(2):174-7. doi: 10.1093/jmcb/mjw008. Epub 2016 Mar 18. No abstract available. 4. Discovering a critical transition state from nonalcoholic hepatosteatosis to nonalcoholic steatohepatitis by lipidomics and dynamical network biomarkers. Author: Sa R, Zhang W, Ge J, Wei X, Zhou Y, Landzberg DR, Wang Z, Han X, Chen L, Yin H.
Journal: J Mol Cell Biol. 2016 Jun;8(3):195-206. doi: 10.1093/jmcb/mjw016. Epub 2016 Mar 18. 5. The FGF21-adiponectin axis in controlling energy and vascular homeostasis. Author: Hui X, Feng T, Liu Q, Gao Y, Xu A. Journal: J Mol Cell Biol. 2016 Apr;8(2):110-9. doi: 10.1093/jmcb/mjw013. Epub 2016 Mar 18. Review. 6. Adiponectin: a versatile player of innate immunity. Author: Luo Y, Liu M.
Journal: J Mol Cell Biol. 2016 Apr;8(2):120-8. doi: 10.1093/jmcb/mjw012. Epub 2016 Mar 18. Review. 7. microRNA-129-5p, a c-Myc negative target, affects hepatocellular carcinoma progression by blocking the Warburg effect. Author: Han H, Li W, Shen H, Zhang J, Zhu Y, Li Y. 8. Personalized evaluation based on quantitative proteomics for drug-treated patients with chronic kidney disease. 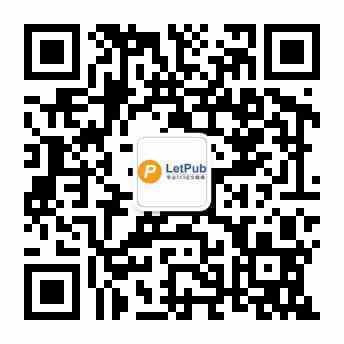 Author: Li QR, Chen WJ, Shen JW, Wu Y, Li RX, Zhong YF, Zeng R, Deng YY. Journal: J Mol Cell Biol. 2016 Jun;8(3):184-94. doi: 10.1093/jmcb/mjw015. Epub 2016 Mar 21. 9. BMP4 mediates the interplay between adipogenesis and angiogenesis during expansion of subcutaneous white adipose tissue. Author: Tang Y, Qian SW, Wu MY, Wang J, Lu P, Li X, Huang HY, Guo L, Sun X, Xu CJ, Tang QQ. 10. Sublytic C5b-9 triggers glomerular mesangial cell apoptosis in rat Thy-1 nephritis via Gadd45 activation mediated by Egr-1 and p300-dependent ATF3 acetylation. Author: He F, Zhou M, Yu T, Zhao D, Zhang J, Qiu W, Lu Y, Liu Y, Wang L, Wang Y.